James DV. 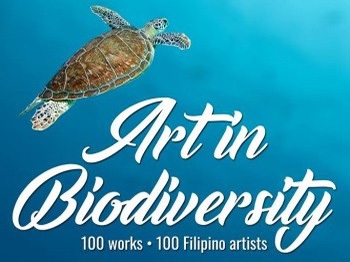 Alvarez, an MS Wildlife Studies graduate of the University of the Philippines Los Banos (UPLB) and University Extension Associate I of the UPLB Museum of Natural History, tragically passed away last 8 December 2018, during a climb of Mt. Apo via Kidapawan, North Cotabato. Along with several friends on a trip after conducting capacity-building activities for University of Southern Mindanao (USM) in Kabacan, they started their climb of Mt. Apo on 5 December 2018. Composed of four people from UPLB including James, a companion from USM, and three others (guide, porter and cook/porter), the group started their final ascent at 2:15 AM of 7 December and arrived at the peak at 6:00 AM. After breakfast and staying until 9:00 AM, James and a companion went ahead back to Venado camp (which is 2-4 hours walk) and arrived around 1:00 PM. 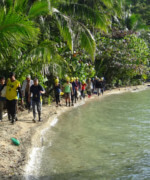 The remainder of the group joined them at camp by 2:00 PM. 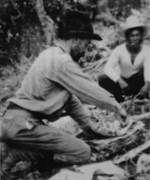 At the Venado camp (2287 masl), James fell gravely ill during the night at around 11:00 PM, vomiting until the next day. His group alerted authorities and decamped Venado camp, descended at around 10:00 AM of 8 December amidst heavy rain, wet and slippery terrain and was able to arrive at Koong camp (1900 masl) by 6:00 PM with porters carrying James. 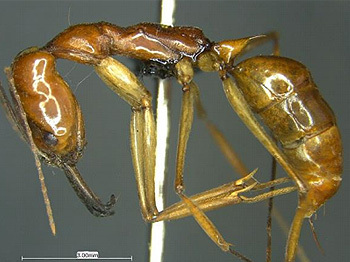 Myrmecologist David Emmanuel M. General of the UPLB Museum of Natural History has described a new ant species from Mt. Guiting-guiting Natural Park (MGGNP) in Sibuyan Island in Romblon Province, naming it Odontomachus ferminae. According to General, the ant is actually locally abundant near Camp 1 of the MGGNP situated at around 300 meters above mean sea level. "This new species of ant can be observed foraging along the trails, leaf litter and open ground in the camp," he said. "Its presence in Mt. 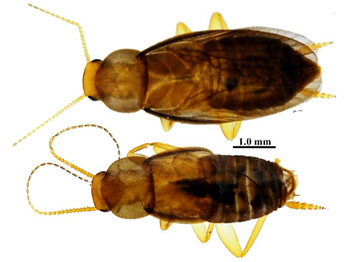 Guiting-guiting has probably escaped the attention of many other entomologists because ant taxonomy and systematics in the Philippines is just fairly studied," General added. MNH researcher James DV. Alvarez and graduate student Camila G. Meneses recently presented the outputs of their research during the Rufford Small Grants Conference in Hanoi, Vietnam from 19-20 October 2018. 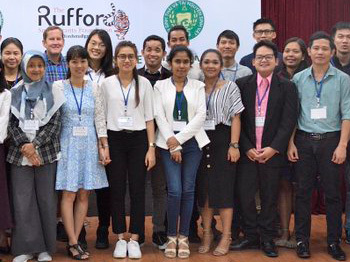 The conference themed "Strengthening the Network of the Rufford Foundation Recipients in Southeast Asia" convened past and current recipients of the Rufford Smalls Grants (RSG). 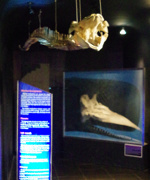 The RSG is a UK-based organization which provides grants for research and conservation projects. Alvarez and Meneses received their RSG grants in 2015 and 2016, respectively. The grants supported their research work in Mt. Guiting-guiting Natural Park (MGGNP) in Sibuyan Island, Romblon. Microorganisms are ubiquitous in nature. They can be found almost everywhere in soil, water, air, and even flora and fauna. On bats and birds, microorganisms are also common because of the guano that are produced by these flying animals. Guano is nutrient-rich because it harbors diverse assemblages of microorganisms. When guano accumulates in an area, it can provide sustenance to other organisms such as minute insects that are food of bigger predators. Aside from serving a big part in the ecological balance of environments such as karsts, guano, when extracted from caves can serve as organic fertilizer.